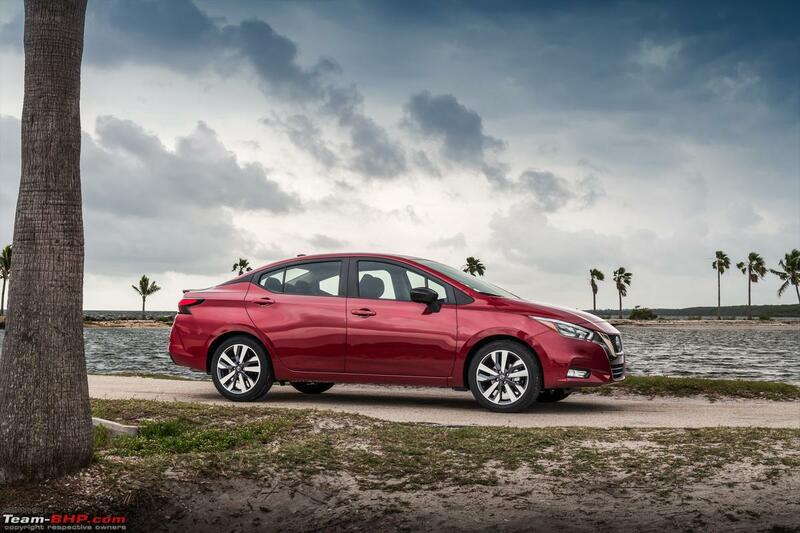 Nissan has taken the wraps off the next generation Sunny sedan. 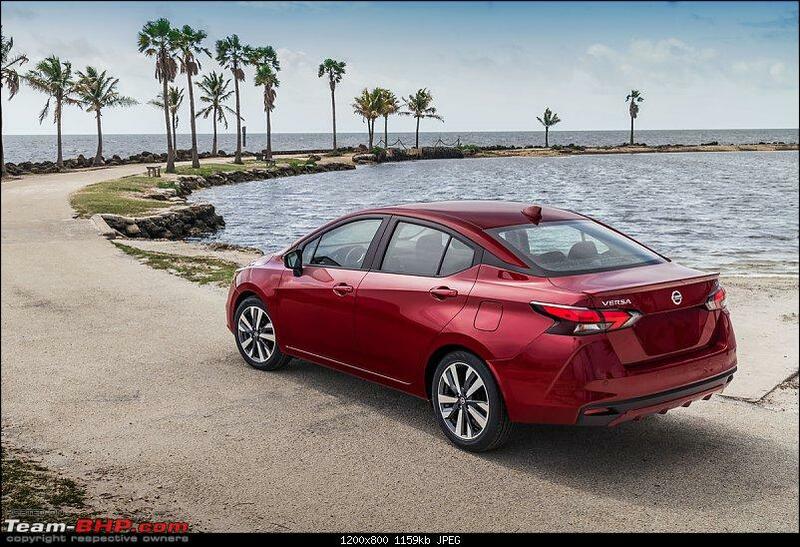 It will go on sale in the US market later this year and will be called the Versa. 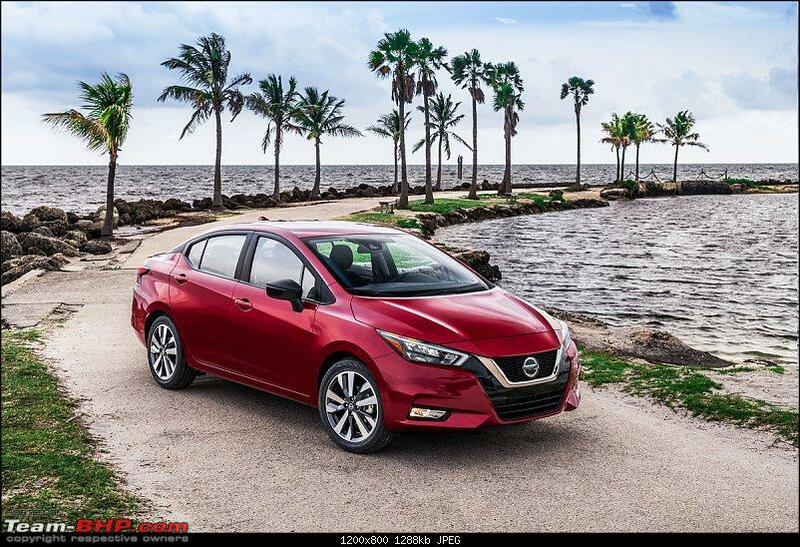 The new Sunny features a completely redesigned exterior and interior. The car has a V-motion grille up front with sweptback headlamps on either side. The dual-tone front bumper houses a pair of fog lamps. The car has a coupe-like roofline with blacked-out B pillars and black ORVMs. At the rear, it has wraparound tail lights and a dual-tone bumper. The car is equipped with a shark fin antenna and rides on dual-tone alloy wheels. 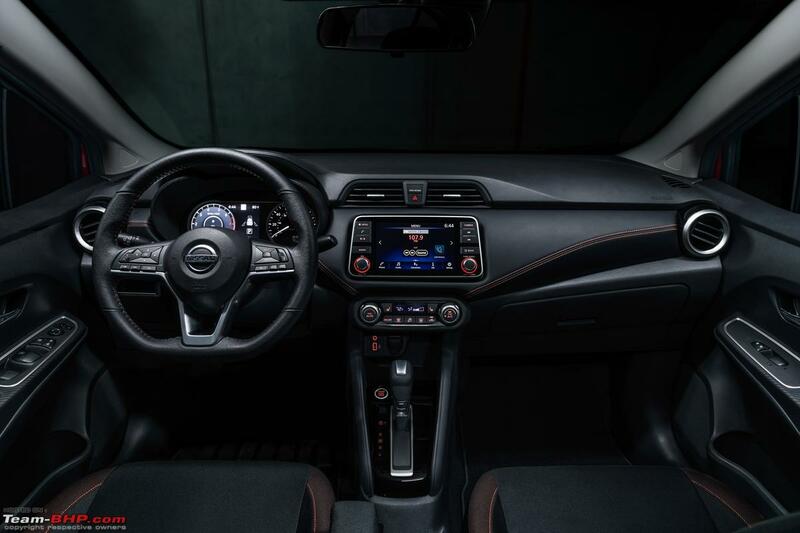 On the inside, it has a black dashboard with a touchscreen infotainment system in the centre with trapezoidal air-conditioning vents on top. There are circular air vents on either end of the dashboard. The car has a 3-spoke multi-function, flat-bottom steering wheel and a twin-dial instrument cluster with a central MID. Some of the features offered on the US-spec car include remote keyless entry, engine start/stop button, power windows, heated front seats, automatic climate control, Apple CarPlay and Android Auto connectivity. In the US, the Sunny is powered by a 1.6-litre, 4-cylinder petrol engine that produces 120 BHP and 155 Nm of torque. 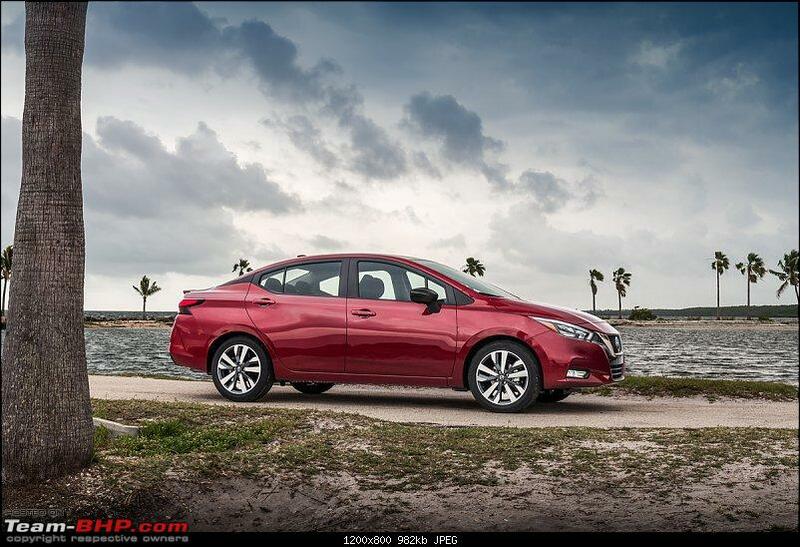 It comes with a choice of an automatic transmission or a 5-speed manual. In India, the Nissan Sunny competes with the Honda City, Hyundai Verna, Maruti Ciaz and Toyota Yaris. There is no word yet regarding the next-gen Sunny's India launch. 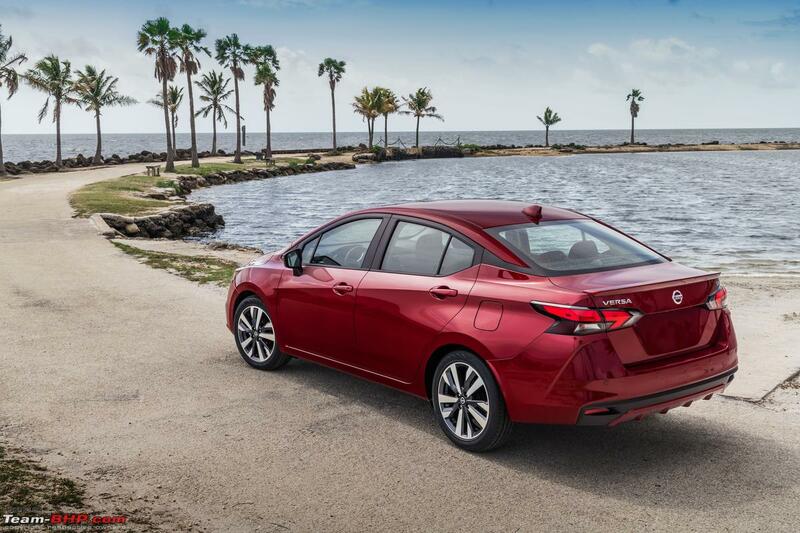 The new Sunny features a completely redesigned exterior and interior. And it's a quantum leap I'd say. I particularly like this rear glass framing design blend with C pillar. That is quite a hot looking car, but I don't have too much hopes for this reaching our shores, as even the latest Gen Micra, on which this is based hasn't been announced for India yet. Quite the looker! Nissan enjoys good popularity, especially with the self-drive rentals, in the US and the Versa is among the common ones in that category. IIRC, it has always been Versa. Second-gen was called Latio, Sunny among others in some markets. Latio is the Japanese market name for a subcompact sedan unveiled by Nissan in 2010 as the Sunny, but sold under several different names across export markets when sales began in 2011. Only if Nissan India would have done justice to age old Sunny in India, the car would have been standing shoulder to shoulder with hot babies like Verna, City. After GM packed up and Ford wanting to probably do a backend job with Mahindra, and dwindling sales for Nissan could very well spell disaster for the brand. Reference:- Nissan Kicks slowly going the Captur way! And just like the new gen Micra, this Sunny isn't likely to reach our shores by Nissan India ends or this century, whichever comes first. However this looks fab, specially the rear three quarters. Just like Chevy was selling SAIC models here, same is Nissan doing in India while they have some really good products in their portfolio. Don't know what are they even waiting for. Kicks is still a fresh breath in their stale product line, they need to be faster. At least learn from likes of how Tata in present and Hyundai in much past has worked on changing their boring product line. Last edited by PrasunBannerjee : 15th April 2019 at 18:44. Must say, very interesting & funky design elements. It's still got some quirkiness like the outgoing generation car, but looks far better overall. 1. The C2 segment is now very competitive with the City, Verna & Ciaz dominating the scene. 2. Nissan India is overall in the doldrums. Doubt they would want to or have the capacity to make such an investment. 3. The segment itself is stagnating, due to Crossovers & competent sedans a segment below - related thread (The diminishing value of C2 sedans (City, Ciaz, Verna et al)). This is one looker with bold cuts and creases at right places and would be a welcome addition on Indian roads. Out of Topic: If they do manage to bring it to India, better name it something other than Versa as people may confuse it with Hyundai Verna. This is one looker with bold cuts and creases at right places and would be a welcome addition on Indian roads.. I haven't ever seen previous generation Versas on US roads except where they had a Hertz or Avis sticker on them. And when I rent, I pray not to get one of them instead of a Corolla or similar, desperately underpowered feel to the engine on the one I drove for a month in the Bay Area back in 2015. That's a straight lift off from the current Nissan Maxima. The floating roof effect is quite visible in many Nissan cars here in NA - Altima, Maxima, Leaf and now this Versa/Sunny.